The Premiere Single Bath Vanity combines the clean look of modern design with the handsome details of a more traditional piece. This creates a highly versatile look that looks great almost anywhere. 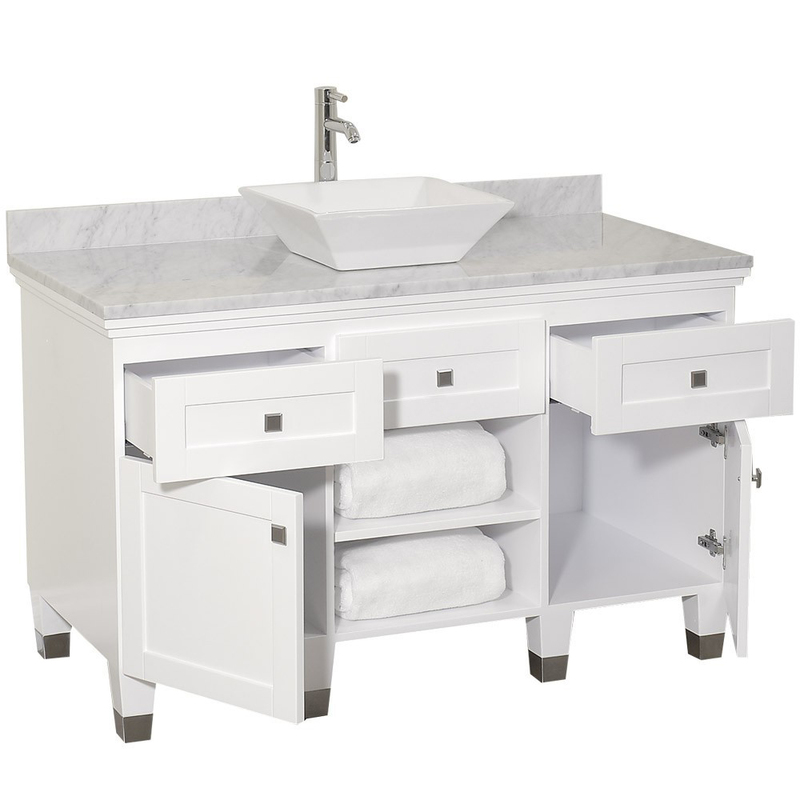 The white water resistant finish protects the solid oak body, which also resists warping over time. The brushed chrome hardware gives it a little more modern flair. 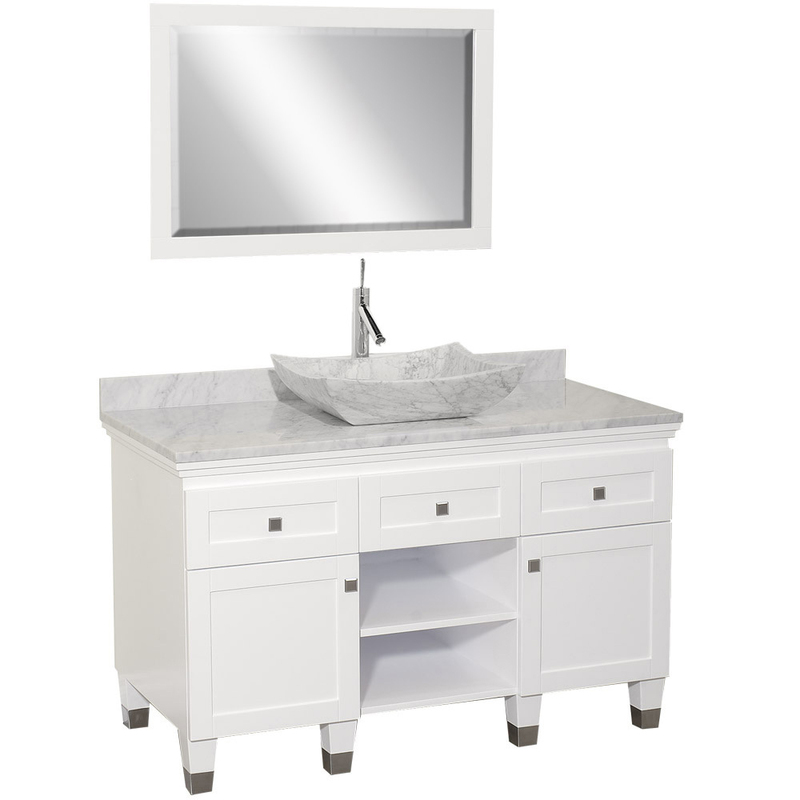 Choose between two natural marble countertops and backsplashes, and five vessel sinks. The single sink design provides a lot of counter space. 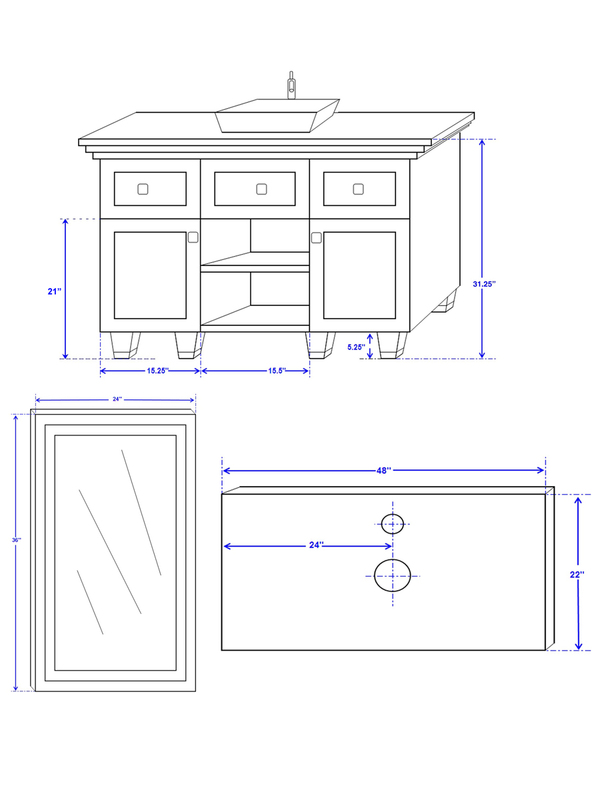 This single vanity also includes a matching mirror, and an optional side cabinet is available from the drop-down menus. 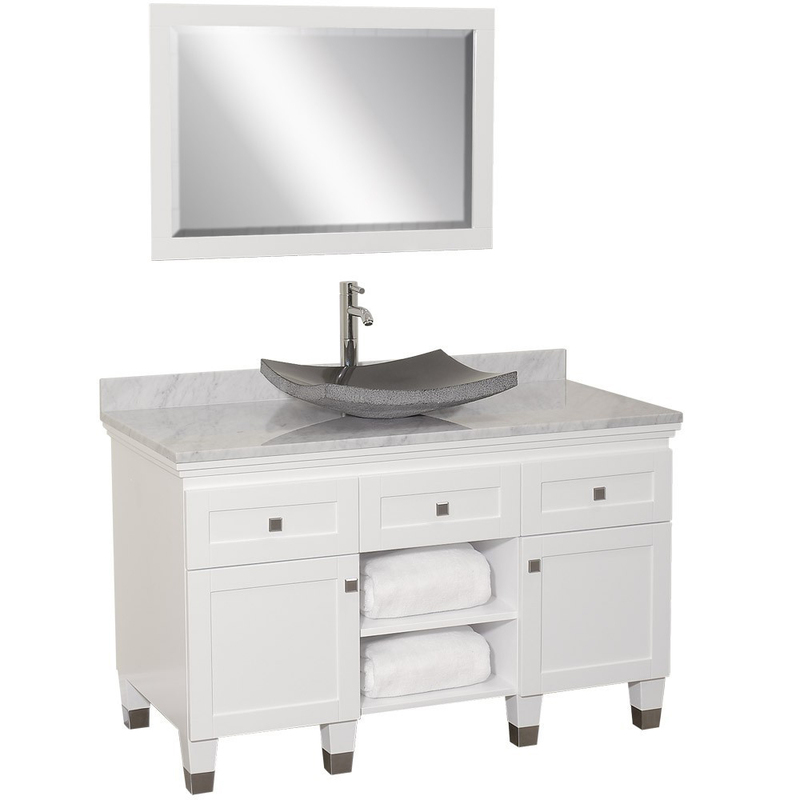 Faucets are not included.